“One key to understanding cancer lies in the stability of the genome,” says Wolf-Dietrich Heyer, Department of Microbiology and Molecular Genetics chair and co-leader of the Molecular Oncology Program at the UC Davis Comprehensive Cancer Center. A healthy individual has a system of checks and balances that curtail cells’ irregular growth. But changes occurring during a person’s lifetime, including inherited changes and those induced by environmental exposure, alter the body’s normal blueprint and cause cancer. Many genes, as part of regular maintenance within the body, are responsible for repairing damaged DNA. Through a process called homologous recombination, information from healthy DNA molecules is used as a template to heal broken DNA strands. Proteins involved in recombination are constantly directing repair of cells’ genetic material, which becomes damaged over time. They serve as genetic guardians, reinforcing a healthy blueprint for the body. It is estimated that each day, every cell experiences tens of thousands of damaging events that require DNA repair. These guardians stay busy and are constantly on the alert. While the guardians are tasked with repairing DNA damage, they can also become damaged themselves. When they become altered or damaged, genetic changes, called mutations, accumulate at an alarming pace. Mutations in two very different guardian genes, BRCA1 and BRCA2, lead to a significantly elevated cancer risk. According to the National Cancer Institute, 55 to 65 percent of women who inherit the BRCA1 mutation will develop breast cancer by age 70, while 39 percent will develop ovarian cancer. Together, deficiency mutations in these two genes constitute the highest risk factor for familial breast and ovarian cancer. There are many types of risks that can increase the likelihood of these cancers in women. Fortunately, the consistency of BRCA1 and BRCA2 deficiency mutations in cancer patients creates an opening that UC Davis researchers have seized to gain understanding about their roles in preventing and treating cancer. Due to the complexity of the proteins produced by the genes, uncovering the characteristics of BRCA1 and BRCA2 has been a decades-long process. BRCA2 contains 3,418 amino acids, making it roughly 10 times larger than an average protein, Heyer says. The larger the protein, the more challenging it is to understand. And because genes mutate in unpredictable ways, they also end up producing many different variations of proteins. Insights into the nature of BRCA1 and BRCA2 began with identifying similar protein activities in bacteria and yeast, simpler organisms which share a common ancestor with humans. Professor Stephen Kowalczykowski, Department of Microbiology and Molecular Genetics, has devoted his research career to understanding the mechanisms of the proteins responsible for recombination. Through long-term and painstakingly detailed research, Kowalczykowski has sought to replicate the cellular processes of DNA repair in a lab setting. With a sophisticated microscope, Kowalczykowski views live interactions of individual proteins functioning on single molecules of DNA. Heyer, Kowalczykowski and dozens of other UC Davis researchers’ discoveries are creating the framework for the future of cancer therapies. By describing the behaviors of cancer-related genes such as BRCA1 and BRCA2, it will become possible to create specific profiles to target tumor growth. One day, physicians will be able to prescribe a customized treatment plan for each patient, based on their genetic profile. The main approaches of cancer therapy are surgery, radiation and chemotherapy, often associated with severe side effects. Personalized therapies based on the individual genetic profile provide an alternative, or supplement, to chemotherapy and radiation treatments, which indiscriminately kill healthy cells and further damage the guardian genes’ ability to repair DNA. These targeted therapies can seek out cancerous cells based on the specific, individual genetic makeup. So while DNA repair defects caused by mutations in BRCA1 and BRCA2 predispose individuals to cancer, they also make tumors uniquely susceptible to certain targeted treatments that have little effect on normal cells. It turns out that BRCA-deficient cancer cells are sensitive to the blockage of a particular repair enzyme, Poly ADP Ribose Polymerase, or PARP for short. PARP is required for the repair of single-stranded nicks in DNA, and when left untreated, these nicks are processed into far more damaging DNA double-stranded breaks. As recombination is the primary pathway to repair such breaks under these conditions, inhibiting PARP in BRCA-deficient cells very effectively kills tumor cells. PARP inhibitors are the first DNA-repair targeted drug approved by the Food and Drug Administration for the treatment of cancer. For specific cases, it remains to be seen whether PARP inhibitors can be expanded to patients with other genetic defects in addition to BRCA mutations. But this groundbreaking discovery demonstrates that DNA repair genes have the ability to become an Achilles’ heel in certain cancers, making them an excellent therapeutic tool to kill tumor cells. While DNA repair might not be a silver bullet for all cancers, it is a leading methodology that aims to address the shortcomings of traditional treatments. Personalized medicine approaches based on an individual’s genetic profile are already saving lives by revealing predispositions to certain types of cancer before tumors begin to form. As UC Davis researchers continue to investigate the genetic processes underlying cancer, therapies will shift to become more personalized and patient-specific. New methods will spur increased collaboration between researchers and physicians, improving a working model of feedback that will accelerate cancer treatments and help save lives. And as anyone who has been affected by cancer knows, a personal approach makes all the difference. 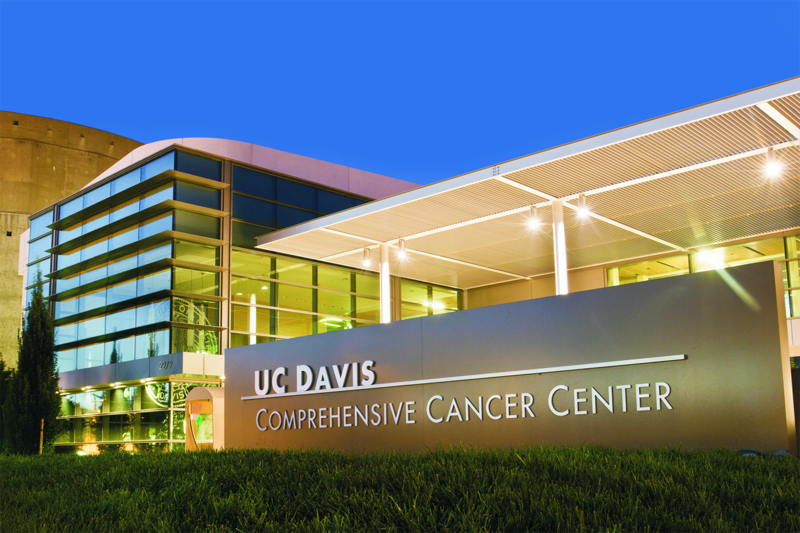 The UC Davis Comprehensive Cancer Center is a nationally recognized leader in cancer research, care and education. It is one of 47 centers in the United States to earn the prestigious “comprehensive” designation from the National Cancer Institute. Established with collaboration in mind, the cancer center leads integrated approaches for experts across a variety of fields to share information and develop personalized care for patients. The “comprehensive” designation signifies that UC Davis has been recognized for its scientific leadership, resources and interdisciplinary research in basic, clinical and population science. Research conducted by the Department of Microbiology and Molecular Genetics, College of Biological Sciences and other UC Davis groups aids in the development of personalized approaches to cancer treatment. These leading-edge personalized therapies are based on the unique molecular characteristics of individual patients’ tumors. A patient’s genetic makeup and cancer type can also provide access to early-stage clinical trials for new medications. Methodologies of personalized care continue to advance, and one day, enough information may exist to adapt any cancer treatment to an individual’s unique genome. As a gathering point for researchers, doctors, caretakers and other support staff, the Comprehensive Cancer Center works to amplify resources across disciplines to gain a more complete picture of cancer. It unites many traditionally separate teams, encouraging new perspectives and discoveries and promoting complete patient care. 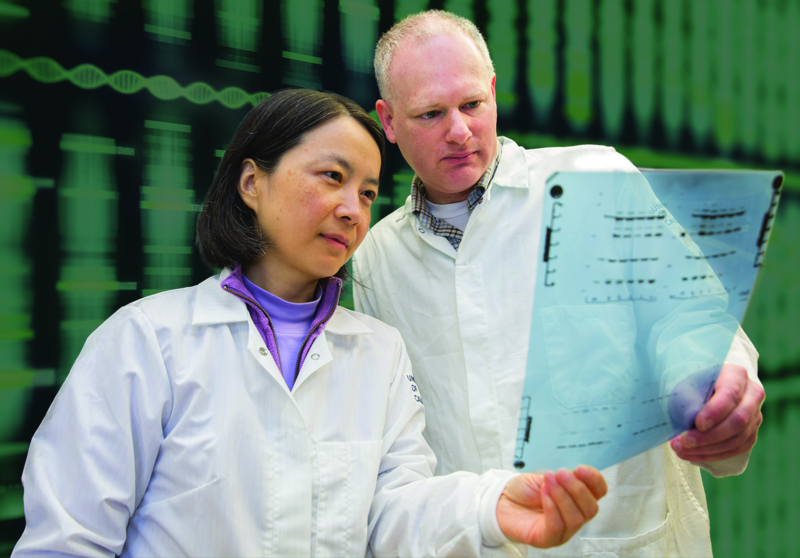 A National Institutes of Health T32 Training Grant in Oncogenic Signals and Chromosome Biology is helping UC Davis prepare a new generation of researchers to combat cancer. The grant pairs postdoctoral research fellows with faculty mentors involved in cancer research and provides financial support and opportunities for career development. T32 fellow Josh Meckler works in the lab of Associate Professor Lifeng Xu, Department of Microbiology and Molecular Genetics. 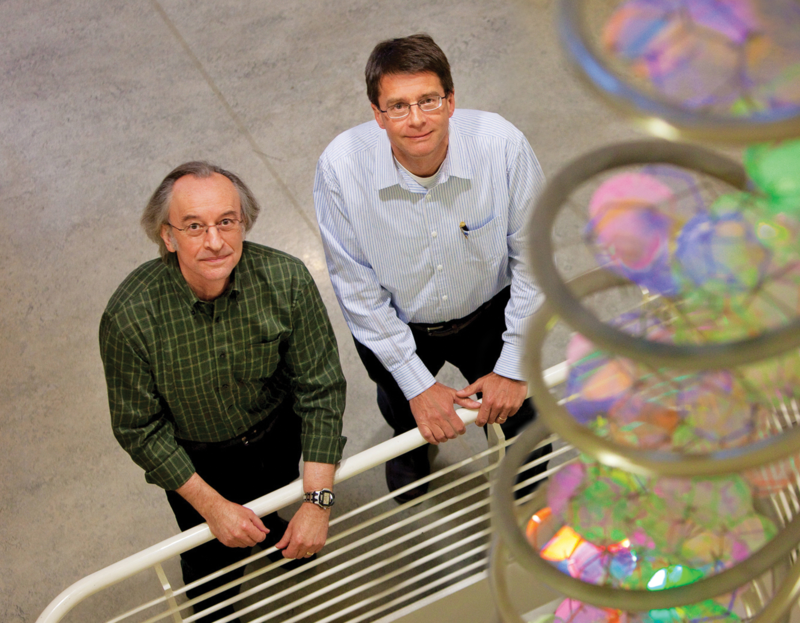 Together, the two are working to better understand the role of telomeres in cancer. Telomeres are caps found at the ends of chromosomes, protecting them from deterioration much like the plastic end cap on a shoelace. 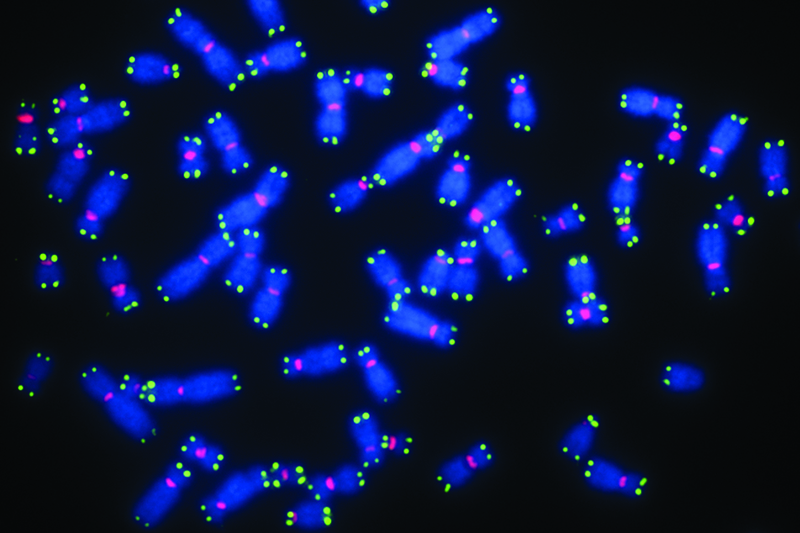 Xu seeks to use telomeres as control mechanisms to stop cell division in tumors. Telomerase, an enzyme that directs the synthesis of telomeres, is active in 90 percent of cancers. If this enzyme could be switched off, it would provide a universal way to inhibit tumor growth in many, if not all types of cancer.